Euro-Africa Bus Services runs 7 days a week, with an hourly departure from Lusaka or Kitwe. The coach facilities include sliding windows, television and radio systems. The company runs a membership scheme which entitles members to a discount on each bus fare. Members are also allowed an element of payment flexibility. Kobs offers a reliable, efficient service with a fleet of seven 69-seater coaches. Pioneers of the Zambia-Malawi bus route, the route stretches from Lusaka city right up to Lilongwe. The company recently extended its route to include Lusaka to Ndola, enabling passengers from Chipata to conveniently make their way to Ndola. This bus service operates between Lusaka, Livingstone and Johannesburg, Lusaka to Mongu, and Lusaka to Nakonde. Recognising the importance of bus punctuality and reliability, Shalom follows a strict schedule and gives a high priority to customer safety. The buses are fully air-conditioned with in-car entertainment. CR Holdings coaches are equipped with television sets, music system and fridges for refreshments (served free of charge)! 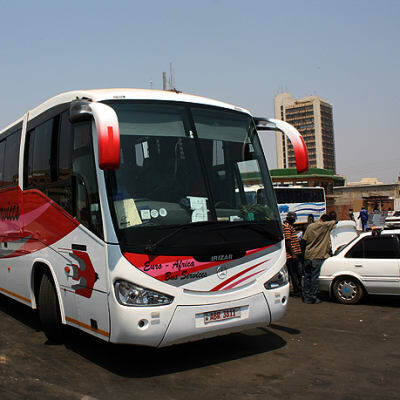 The company operates passenger coach stations in four major cities – Lusaka, Ndola, Kitwe and Livingstone – and smaller ticket sales offices in other towns. Intercape has a fleet of 90 coaches, which includes 57 luxury double decker coaches and 42 single deck coach. The coach service currently handles 49 daily departures. Each bus is air conditioned, with on-board toilet facilities, comfortable seating with reclining seats and adequate leg space. 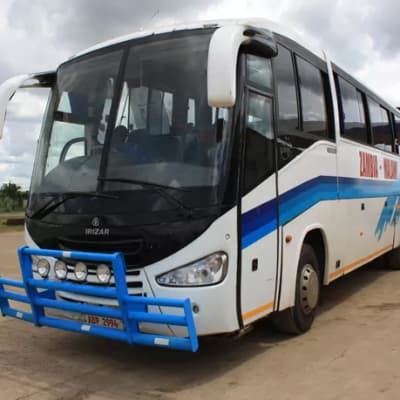 Power Tools has a number of super luxury coaches which travel from Lusaka to the Copperbelt, Nakonde, Mpulungu and Luwingu. These coaches have plasma TVs and reclining seats - great for long distance travel comfort. Refreshments are available on board. This coach service has experienced drivers and a well trained bus crew. 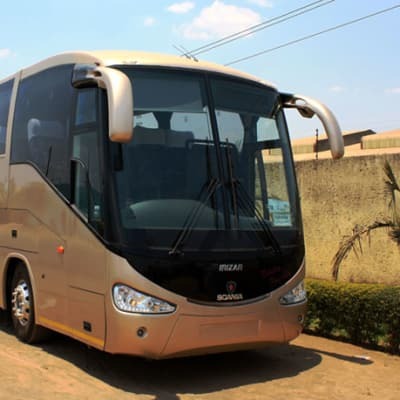 With a fleet of six 69 seater coaches, Ticklays Coach Service offers a daily service from Lusaka to Mwinilunga. A coach leaves every day at 05:30hrs, 10hrs, and every 2 hours thereafter. The same schedule is followed from Mwinilunga to Lusaka. These coaches offer passengers retracting seats and in-coach entertainment. 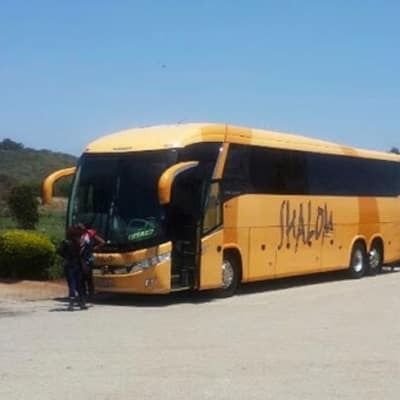 Mazhandu Family Bus Services offers luxury coach travel from Lusaka, Zambia's capital, to the Copperbelt as well as Livingstone, Kazangula and Katimamulilo. Buses have first-aid kits, fire extinguishers, television and music systems. In addition, super luxury coaches have plasma television and reclining seats – great for long distance travel comfort.